Maybe it’s just me, but it seems like babywearing is becoming more and more common. Just in the last four and a half years, I’ve certainly noticed more parents choosing to wear their babies. 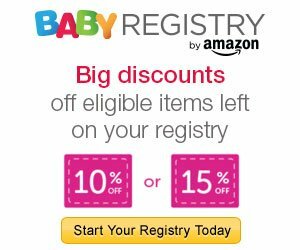 Last week I visited my local kids swap and, as always, I noticed the strollers blocking the already narrow and crowded aisles and banging into my legs. But on that same visit, I saw at least a dozen moms and even two or three dads babywearing. It was kind of fun sneaking peeks at all the different carriers, slings, and wraps and trying to identify each one! This week is International Babywearing Week, a great time to celebrate all things babywearing! Back when I was wearing my first baby in a Beco Butterfly II, I didn’t know anyone who wore their baby and I don’t remember ever seeing other babywearing mamas out and about. But now it’s not an unusual sight at all, at least around my city, and babywearing seems to be becoming more visible in social media and mainstream media too. Babywearing celebrities like Gwen Stefani and Orlando Bloom increase public awareness of babywearing. Do you ever do the babywearing smile and nod? 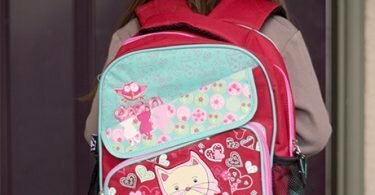 That little nod of recognition to other babywearing parents? The nod that says, “Yeah, I see your carrier and I get it. I love that print and your baby is adorable!” We’re part of a small but rapidly growing group of parents who embrace babywearing as a core way of interacting with our babies on the go. 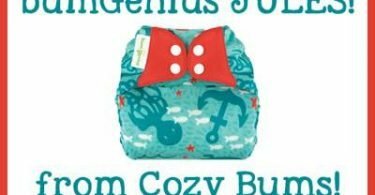 A good wrap or carrier is always my first thought for a baby shower gift. Especially for a family welcoming their second or third child, babywearing is such a valuable tool in any parenting toolbox. I love it when I get stopped on the street by curious pregnant or new mamas asking which carrier or wrap I’m using. I don’t mind at all talking “shop” with anyone who wants to know more. I wear Kay when we walk Tee to and from preschool. One afternoon last June I spent about 10 minutes after school chatting with another mama about baby carriers and why I prefer to wear Kay. This mama was expecting her second baby at the end of the summer. When I saw her again this September, she was wearing her precious new baby girl in an inward facing Baby Bjorn! I have no idea if I had anything to do with that (I’m not going to ask because that would just be weird), but I love that babywearing is viewed less and less as a “hippie” or “third world country thing”, and becoming recognized as a beautifully practical and enjoyable way to carry your baby. One unexpected side effect of seeing more babywearing is that I also see parents wearing their babies in what seem like uncomfortable or less than ideal circumstances. Sometimes it’s all I can do to stop myself from walking up to a complete stranger to adjust the straps saying, “Here, let me help you with that!” The other day I saw a father wearing his sleeping baby (yay!) in a forward facing carrier, and he was holding her head up by pushing back on her forehead. Sounds uncomfortable, yes? The scariest time though, was when I saw a mom with her newborn baby tucked away in a pouch sling down on her hip. I had to do a double take because at first I thought it was a purse. Eek! All babies should be safe in their wraps, slings, and structured carriers, so here’s a mnemonic to help you remember the rules for safe babywearing. 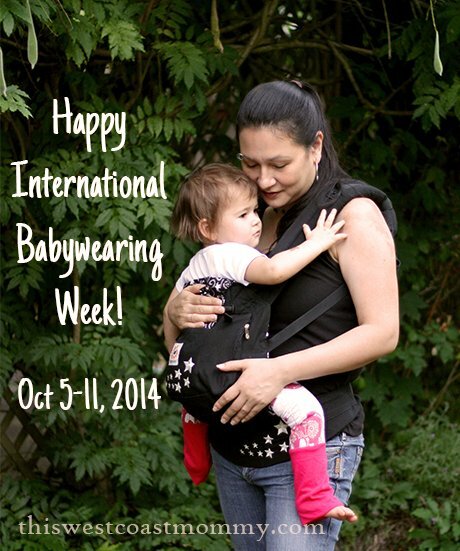 How are you celebrating International Babywearing Week? baby carriers babywearing International Babywearing Week safe babywearing T.I.C.K.S. T.I.C.K.S is a new term for me. I ‘ve seen a few people around town who could definitely learn form it. I’ve not heard of the T.I.C.K.S. rules before. I remember many moons ago wearing my first baby, a very rare thing in those days (over 35yrs ago! ), I often got weird looks :-). I tried one of the scarf/shawl things too but couldn’t get myself into using that properly. I cant imagine not babywearing!! But I was the only one in my circle of friends who did. I still always have my Ergo tucked in a bag whenever I go out with my now 3 year old!! It is the one thing I used from birth to now!!!! I tried everything from slings to carriers. And yes, there is definitely a look passed between fellow carriers!! And I love seeing dads babywear! !